This Sound silencer / suppressor is made for the FN GPMG / M240 machinegun. Suppressive fire will be much more precise and concentrated on the target area, when using an SAI silencer / suppressor. Pin-pointing your machinegun position is much harder if you use a silencer / suppressor. 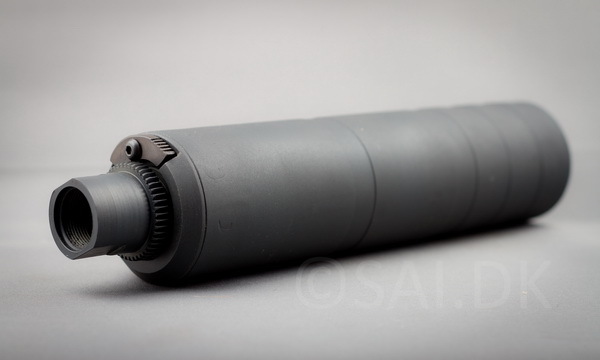 Replace the Flash Suppressor with SAI model. You can easily attach and remove the silencer / suppressor in one quick turn. No need to make alterations to the gun. 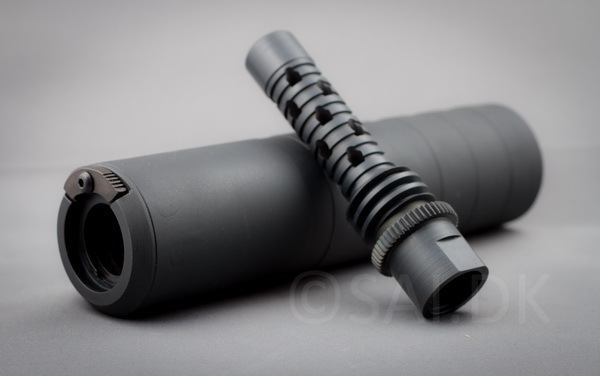 The SAI MG30FS-1 muzzle brake is made for the FN GPMG/M240 machine gun in 7.62/.30 caliber. The MG30FS-1 replaces the original FN GPMG/M240 flash suppressor and reduces recoil, muzzle jump and flash.